Sunday 13th April, Afon Lido, Port Talbot. Peter Barnwell - 2nd Mens Kumite - 4th kyu and below. 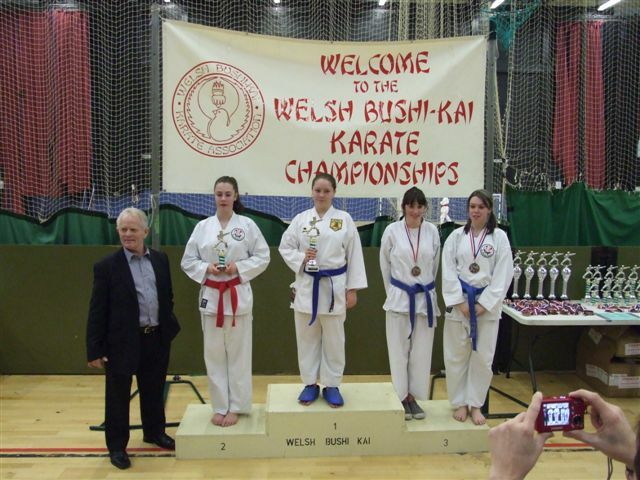 Ashley Davies - 2nd Girls Kumite - under 16. Emma Robbins - 3rd Senior Ladies Kata. 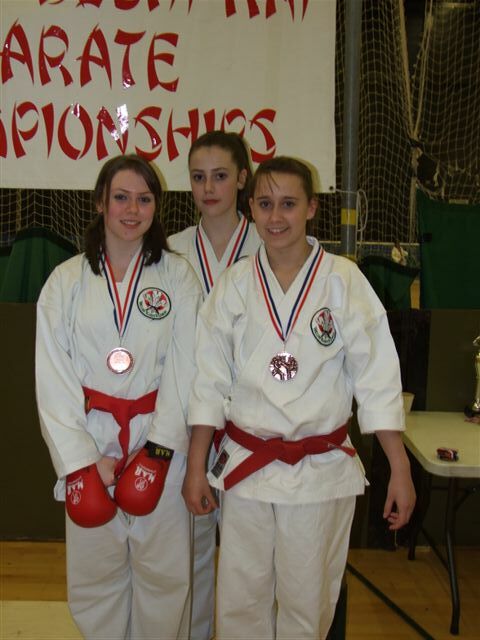 Bethany Davies - 3rd Girls Kumite - under 16. 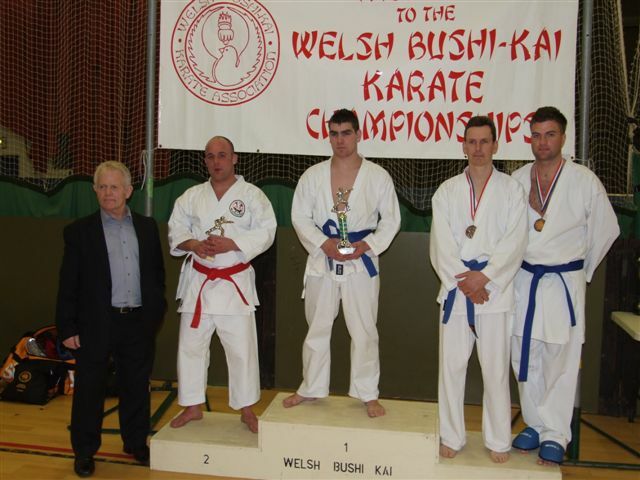 Matthew Lloyd,James Watson and Lee Ockwell - 3rd Mens Team Kumite. Ashley Davies, Bethany Davies and Katy Hallett - 3rd Senior Ladies Team. A brilliant result for all our competitors especially our 3rd placed Senior Ladies Team as they are only 13 and 14 years of age. Well Done, Excellent Performance by all of you. Ashley Davies (left) Bethany Davies (right). Bethany Davies, Ashley Davies and Katy Hallett.